The Turkish market has witnessed a remarkable recovery over the past years in the import and export business, which encouraged the investors and traders to set up their companies in Turkey in order to participate in this market with a great opportunity of high profits and returns. Turkey is known as an important destination for imported goods in many major countries such as Germany, Russia, Italy, France, and China. 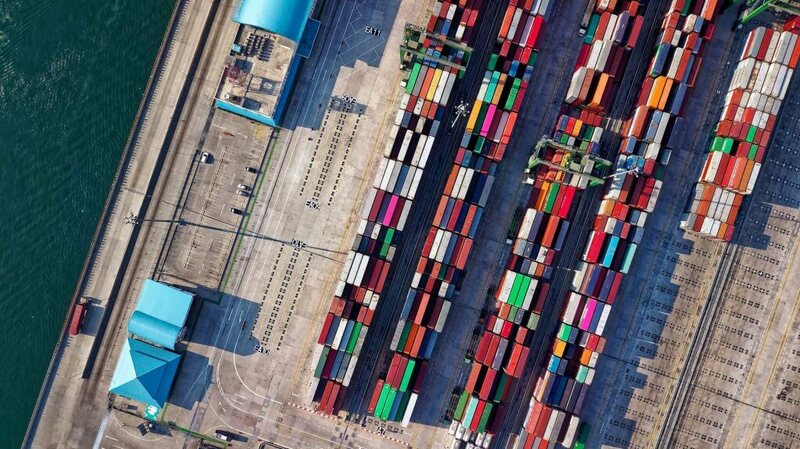 The primary destinations of Turkish exports are Germany, UK, Iraq, Italy, and France, where many different products such as refined oil, automobiles, iron ore, car parts, and trucks are exported each year. Turkey’s exports in October 2018 reached the highest monthly level in Turkish history. The value of Turkish exports last month reached $15,732,000 with an increase of 13.1% compared to the same period of 2017, As stated by Turkish Minister of Trade Mrs. Ruhsar Pekcan in a news conference held in the south of Ankara. In the same context, the Ministry of Commerce and the Turkish Statistics Agency pointed out that Turkish exports increased during the month of September by 22.4% as compared with the same month last year. The value of Turkey’s exports during the month of September reached $14.456.000.000. These figures represent a massive leap from the situation of about 15 years ago, which is in the interest of achieving the goal set by the Turkish government in 2023 to become among the top ten economically in the world. Metals: copper, iron, mercury, manganese. Agriculture and food: cotton, figs, grapes, olives, wheat flour, barley, tomatoes, apples, vegetables. Industry: textile industry, animal and vegetable oils, plastic materials, raw wood and its products, household tools and accessories of all kinds, sugar, cement, tires, auto parts. Since 1995, Turkey has signed the Customs Union Agreement with European Union countries. According to the agreement, Turkish products must adhere to the specifications with their joint products with the European Union. This agreement applies to industrial goods and manufactured agricultural products. 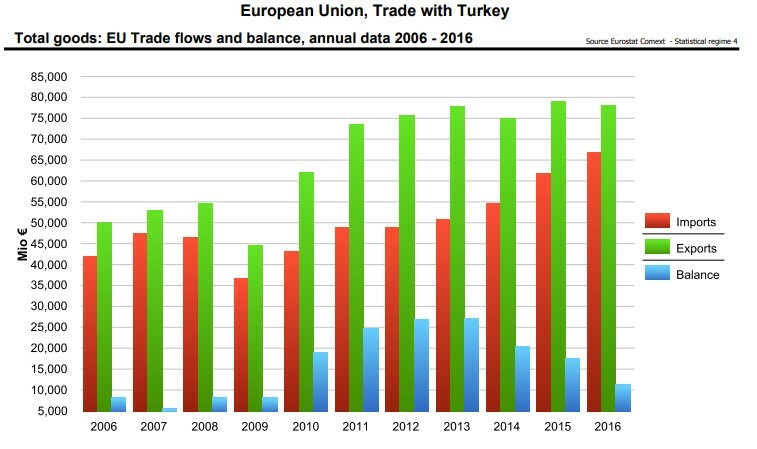 Turkey now ranks seventh in the EU’s import list. In the future, there is a good chance that Turkey will become a member of the European Union. The Turks mainly import cars, gold, refined petroleum, chemicals, machinery and others. Turkey is also part of the Euro-Mediterranean Partnership (Euromed) Which aims to promote economic integration in 16 countries of the Mediterranean region. The Turkish authorities have signed several double taxation treaties so that foreign investors avoid double taxation. VAT Exempt Goods and Services (Exemptions without Credit), as well as contract manufacturers to customers in free zones. Quality certificates are requested in some countries such as Algeria, Morocco and China. General authorization of the customs broker certified by the chamber of commerce or industry. It may seem to you that you need significant capital to work in the field of import and export, but actually, you can establish your business with sufficient equity as a start, then expand your activities after having a better understanding of the market through experience, and gathering information. So you can get offers Import from Turkey with the lowest possib[le expenses. You must observe the product quality standards and their conformity with the specific specifications, also free from the manipulation of some companies and factories in quality, to ensure a good presence in the target market. In case you do not have sufficient experience in the examination of your imported goods you can use some of the companies specialized in the examination of Imported goods.